Courage Motivational Speaker, Kirsty Spraggon uses that one word as the premise of her 3 topics. That one words is the focus of the 3 COURAGE topic’s that international speaker Kirsty Spraggon speaks on. See below details on all 3 programs or click here to watch some videos of Kirsty live on stage speaking about courage. ‘OVERCOME OBSTACLES AND STEP INTO YOUR POTENTIAL’. Self awareness is the key to self mastery, dealing with change & achieving success. Having the courage to look within to overcome our fears and to climb our personal mountains takes work though. Self work. Yet many struggle to see which limiting beliefs, doubts & fears are holding them back, which skills they need to go to the next level or which weak links may need repairing so that they can be the most effective leader, sales person or business owner. Kirsty believes that everyone is capable of doing something extraordinary in their lives and that the biggest obstacle to success is OURSELVES. Through moving stories and inspirational & practical examples, she gives everyone in the room a little courage, leaving them inspired, empowered and equipped to climb their own mountains. Identify which barriers you are facing right now. Understand how you can push through them. Learn simple, practical techniques to build your courage. Be inspired and motivated to reach your full potential. Kirsty’s other topics on Courage are; Courage To Connect & Courage To Be YOU. Research shows that one of the biggest fears that leaders have, is ‘what will others think of me’. This is a universal fear for human beings, often manifesting as a fear of being seen, an inability to show up fully & authentically, causing people to disconnect, retreat, shrink and play small. How can we lead others if we can’t lead ourselves? 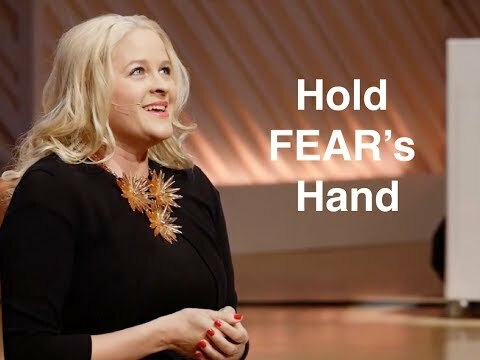 In this keynote, Kirsty shares her personal experience discovering the transformational power of truth, and talks about how through allowing ourselves to feel our pain, embrace our fears, and by standing toe to toe with our deepest truths our lives can transform, enabling us to be the most effective leaders. Fewer things matter more than our ability to connect, influence and build meaningful relationships. In this keynote, Kirsty shares how her success, spanning 2 decades and ranking her in the top 100 of 120,000 sales agents worldwide, was built on the power of relationships. She believes that strong relationships have the ability to fast track and leverage our success in a way that nothing else can match. Great relationships can increase our sales astronomically, but they also have the power to enrich our life with business and personal relationships that lead to lifetime connections of repeat and referral business. Her personal style has always been high touch and here she shares the specifics on relationship selling. Learn the 3 key ways to build strong connections quickly. Understand the power of lifetime relationships. Identify strategies for retaining customers for life. Develop your skills around building trust & empathy. For more information on Kirsty Spraggon or to see her live in action click here.